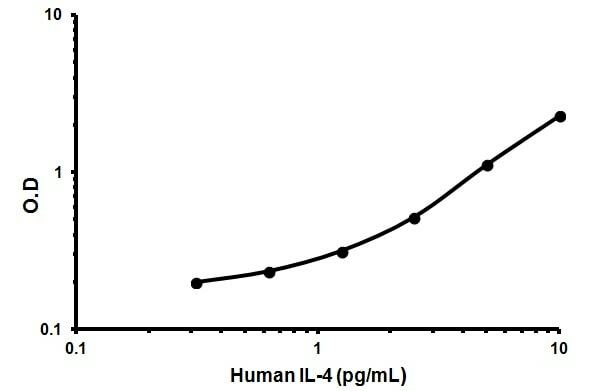 Abcam’s IL-4 Human High Sensitivity in vitro ELISA (Enzyme-Linked Immunosorbent Assay) kit is designed for the quantitative measurement of IL-4 in Human serum, plasma, buffered solution and cell culture media. 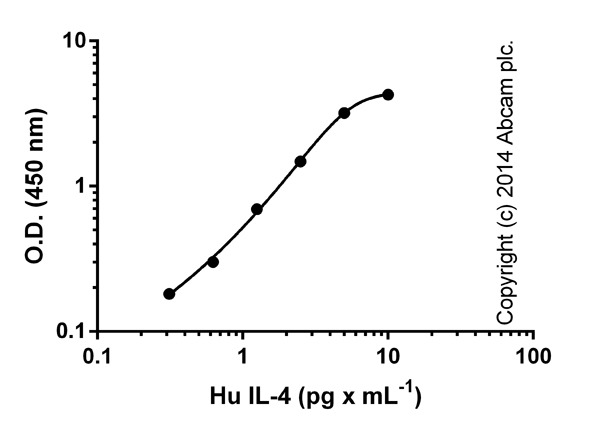 This kit will recognize both endogenous and recombinant Human IL-4. Our Abpromise guarantee covers the use of ab46063 in the following tested applications. Standard curve of human IL-4, with background signal subtracted (duplicates; +/- SD). 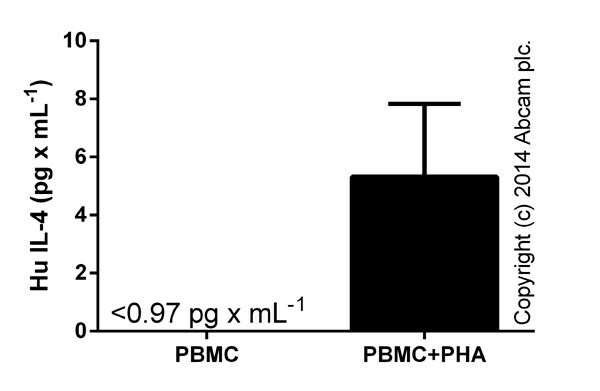 IL-4 measured in cell culture supernatants from control (PBMC) or treated (PBMC+PHA; 2% PHA-M; LifeTechnologies) cells, grown for 48 hours (duplicates +/- SD). Samples tested neat - 1/10, control supernatant gave signals below level of detection. ab46063 has not yet been referenced specifically in any publications. There are currently no Customer reviews or Questions for ab46063.